Whether it’s sports injuries, arthritic joints, neuropathic pain syndromes, or back and neck pain, Cold Laser/LED Therapy is a highly advanced, painless, proven treatment that can help get you back on a path to pain-free living. 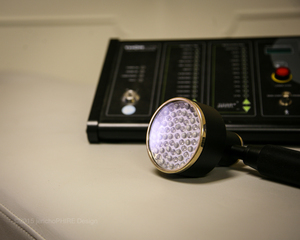 Cold Laser/LED Therapy is a term for photobiomodulation, or Low Level Laser Therapy. It is a light therapy system that uses cold lasers or LEDs, which aide in tissue repair, and assists in the reduction of pain and inflammation wherever the beam is applied. Treatments take about 10 minutes and should be applied two or more times a week. Contact us today to find out more about our amazing Cold Laser/LED Therapy, or visit our Cape Girardeau chiropractic office for a consultation.